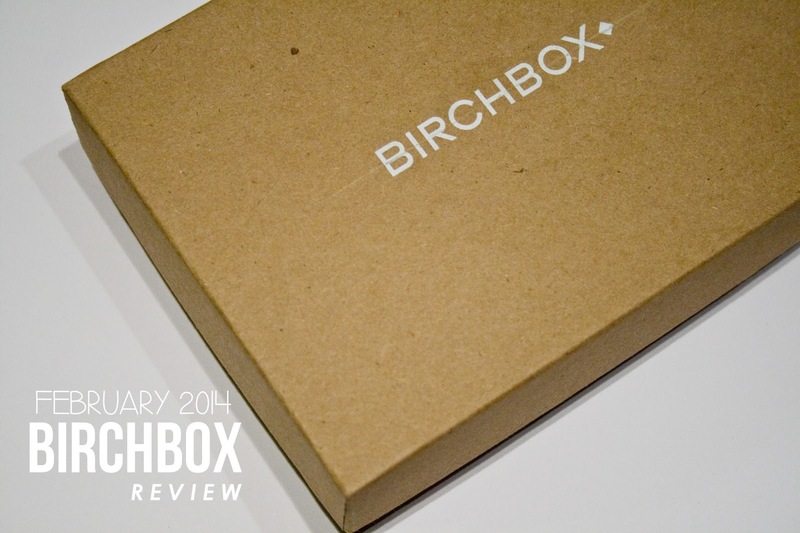 I haven't talked about BirchBox here on the blog for a while! I'm still subscribed to BirchBox (as well as Ipsy, that review for the month is coming soon!) but I was too happy with last month's but December's was nice! BirchBox is a subscription service for only $10 a month & if you're looking for solely beauty items, you're out of luck here. The outside packaging was rather fun this month too. It was red with different like tools on it: hairdryers, mascara, scissors, tubes of product, etc Really different from their usual outer wrapper. Inside were 5 products that made the cut for me this month! Dr. Brandt Pore No More Pore Refiner - I'm not sure if this is intended as a primer or just as a pore minimizer, but I use it as a primer just to test out what it does. I love trying new primers & have a whole section in my everyday make up drawer dedicated to primers/pore fillers/pore refiners/etc. This seems to work ok as a primer & reminds me of Benefit's Porefessional. It has a beige/skin tone tint to it & smooths over the skin like the Porefessional. I think it makes my skin smoother, but it's nothing to really wright home about for me. Juicy Couture Couture La La Malibu Sample - I think I get a nice amount of perfume samples sprinkled in my subscription with BirchBox - not too many, not too few, just the right amount. I throw these in my vanity & pull them out when I need a change from my current perfume. I'm not one to have a lot of perfumes so having a variety of small sizes means I can shake it up when I want. From all these samples though I haven't found my all time favorite perfume yet! I don't own any thing Juicy Couture so that was also a fun little surprise. 32 Oral Care Effervescent Breath Crystals - This is a lifestyle thing that is super unique. I actually haven't tried them yet because I don't want to waist them! Are you like that? I'll hoard one of something until the very exact time it should be used - spoilers: there is no exact time! They come in interesting flavors like Peppermint, Honey Mint, Spearmint, and Lemon Mint. Apparently these kill bacteria & freshen your breath instead of masking it. Maybe there is an emergency time to use these! Can't wait to try them. Ruby Wing Color Changing Nail Polish - This is actually a brand I already own & love! I found this brand at Meijer this past summer but I think they stopped carrying it there recently. I have about four spring colors but this bright pink is to die for. The color I got in this box is called Kitten Heels & is a bright pink indoors and a deeper orange-red outside. These are really fun in the summer & I'm so glad to own another polish from this brand. This size is just right too because I hardly ever go through an entire nail polish! Beauty Protector Protect & Oil - This is another brand I've previously tried out from BirchBox & really love it so getting another product from the brand to try was fun. This is a hair oil & it smells divine. I keep this little bottle by my bed so I can run it through my hair before falling asleep. It's designed to protect hair from heat styling & UV rays. I rarely heat style my hair but I've found oils like these keep my hair from getting tangled during the day & I'm always up for trying different types. So, was this box worth it? I think so! I love trying new things so primers, nail polishes, & hair oils are all welcomed. To me BirchBox always hits it right with at least one thing in the box! These boxes are good to try new things and also to get things to travel with & that offer connivence. That small bottle of hair oil is perfect for beside my bed & takes up much less space than my Suave Moroccan Infusion Styling Oil. Travel sizes of things are always great for travel or your purse. I totally think that BirchBox is worth the $10 a month! Plus you earn points when you review that you can redeem in their online market place. So if all that sounded pretty nice to you ($10 + free shipping for 5 lifestyle samples a month!) then I encourage you to sign up! You can do so by clicking here. Are you subscribed to any services? Which are your faves?